Ever wonder why people flock to Napa Valley from all over the world? Take a peek at my 10 favorite annual events right here in Napa Valley. From wine and food extravaganzas, featuring local and international Chefs and cult wines, to cultural events starring world-famous artists in our vineyards, caves and stunning wineries, the Napa Valley never disappoints. The Mustard Season – formerly known as the slow season – is the handiwork of Mother Nature and, according to legend, the work of Franciscan Padre Father Junipero Serra. He scattered Spanish mustard seeds from southern to northern California; then followed a golden path of mustard in bloom back to the south. Today, The Napa Mustard Festival is one of the premier wine, food and art events in town. If a rousing display of uniformly passionate bidding on a range of unique wines sounds like fun, then you won’t want to miss the annual Premiere Napa Valley barrel tasting and auction presented every year by the Napa Valley Vintners (NVV). Auction Napa Valley is a 4 day annual charity fundraiser put on by the Napa Valley Vintners’ Association (NVV). Guests and bidders come from all over the world to join in on a food and wine extravaganza hosted by our vintners and restaurateurs. NVV has raised and invested over $145m in community health and children’s education since 1981, making Napa Valley a wonderful place to live. Hands Across the Valley helps fund the Napa Food Bank, which serves hundreds of individuals and families each week. Guests enjoy Napa’s finest food and wine, celebrity pizza tossing and dancing under the stars in what has now become a much-anticipated annual event. My absolute favorite. Ten days and nights of opera, ballet, symphony, theatre and dance performed by world famous artists. 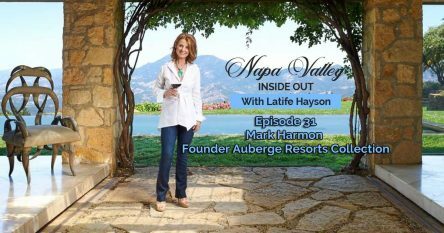 8,000 attendees annually come to enjoy culture and fabulous food and wine in Napa’s most spectacular and prized vineyards and wineries. I love going to the annual Napa Valley Chamber Music Festival. Music in the Vineyards is committed to producing a world-class festival of superb chamber music in the unique winery venues of the Valley. The result is a multi-faceted in-depth cultural experience for audiences. The ultimate film, food and wine experience, the Napa Valley Film Festival (NVFF) lights up the picturesque towns of Napa, Yountville, St. Helena and Calistoga every year. NVFF features over 125 new independent films and studio sneak previews screening in 12 beautiful venues throughout the four walkable villages, as 250 visiting filmmakers and celebrities interact with audiences at screenings and intimate events. 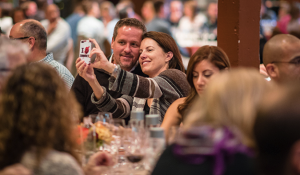 Attendees enjoy film panels and culinary demonstrations, wine tasting pavilions, the spectacular Festival Gala, Celebrity Tributes, Awards Ceremony, and an array of parties, VIP receptions and winemaker dinners and more. 8) Robert Mondavi Winery Concerts For nearly five decades, Robert Mondavi Winery has hosted legendary artists for the famous winery’s Concert Series. The outside theater has four different ticket levels available during the annual concert season: General Admission, Patio Seating, Reserve Tickets and Dinner Tickets. My favorite is general addmission, picnicing with friends on blankets. In a recent blog post, I talked about local events: the annual three-day BottleRock Napa Valley extravaganza. Featuring a roster of top chefs, vintners, master sommeliers and other surprises on Williams-Sonoma Stage, and including a diversity of major talent such as Robert Plant, No Doubt and Snoop Dogg. Flavor! Napa Valley® Celebration of Food, Wine & Fun is an annual event that features world-class Napa Valley wines alongside master chefs and graduates of The Culinary Institute of America’s culinary education programs. Net proceeds from the event support programs and scholarships at The Culinary Institute of America’s Greystone campus in St. Helena, CA. 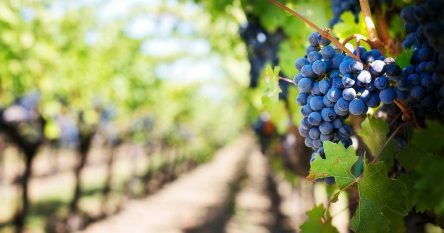 For all the best Napa Valley events, check out the Visit Napa Valley “Calendar of Events.” Perhaps after seeing all there is to do here, you will agree with me that like Rome, all roads lead to Napa Valley. 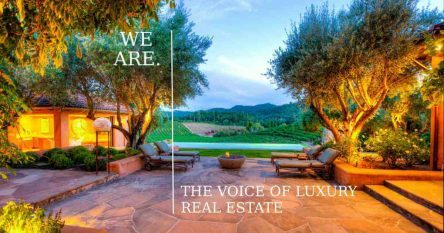 If I have inspired you to consider moving here, contact me at 707-738-4820, email [email protected] or keep abreast of listings of private estates, wineries or vineyards in Napa Valley or Sonoma via my website.